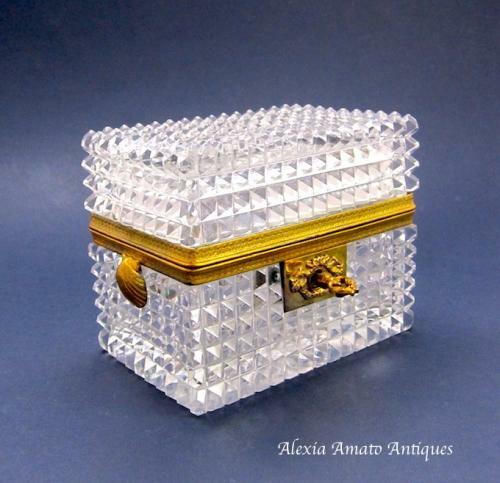 Antique BACCARAT Rectangular Highly Cut Crystal Casket with Dore Bronze Mounts. Two Medallions Representing Scallop Shells Embellish the Sides of the Csaket. Includes Original Key and in Working Order.